I am interested in the impacts of coastal resource use on marine ecosystems in the past, present, and future. I have participated in field expeditions to the Juan Fernández Archipelago, Chile, the Kermadec Islands, New Zealand, the Galápagos Islands, Ecuador, and throughout Atlantic Canada observing subtidal communities. 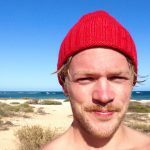 I employ a range of ecological and statistical modelling techniques to understand relationships between fishing, climate change, and marine ecosystems. My work contributes to the fields of marine ecology, fisheries science and management, marine conservation, historical ecology, and climate change. I am a visiting scientist at Dalhousie University, Canada and the Charles Darwin Foundation, Galápagos, Ecuador and the regional coordinator for FISH-MIP, based at the Potsdam Institute for Climate Impact Research (PIK), Germany. Tyler Eddy is a Nippon Foundation Nereus Program postdoctoral fellow working on the One Ocean Project, which aims to integrate ecological and societal information sources to understand human impacts on the oceans from pre-industrial times to the present day, and to make future projections under different climate change and fishing scenarios. The One Ocean Project will quantify the capacity of, and the human demand on, the oceans throughout time, and will develop a range of indicators to test ecological hypotheses.